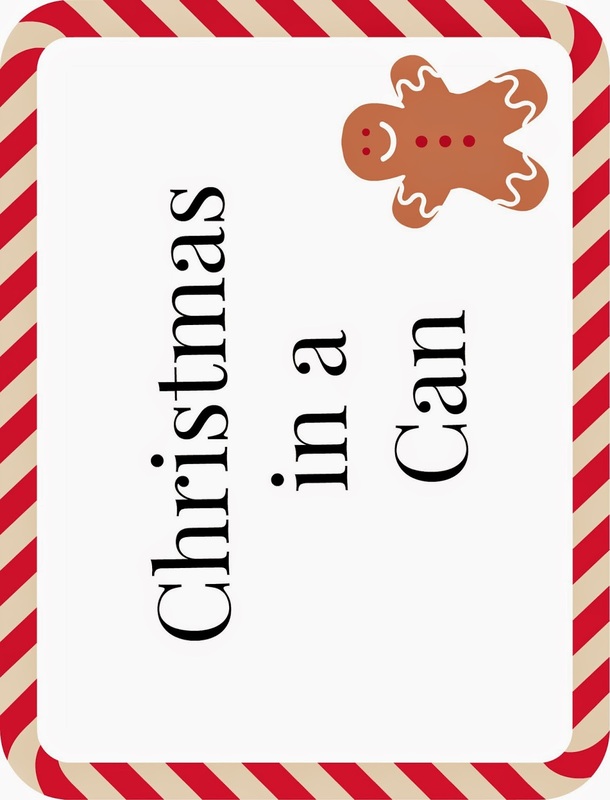 Christmas in a Can is a fun and easy way to bring holiday cheer to teachers, neighbors, coworkers, or any time you need a small gift for family or even one of those party gift exchange games. Grab a paint can and lets get started making these cuties! You can fill your paint cans with any number of things, I'll share with you what I put in mine, but feel free to be creative! I mean, you could throw in a dvd of a classic Holiday Movie, etc. so get your creative juices flowing! These would also be fun to make at a women's craft day for your church or civic organization. For the Wassail Mix I used my Non Caffenated Orange Spice "Tea" but you could put in packets of those hot apple cider I've seen in the stores (Alpine Brand). Tuck all the supplies in the paint can. Cover paint can lid with paper as well if desired. Tie bow/ribbons to one side of the handle. 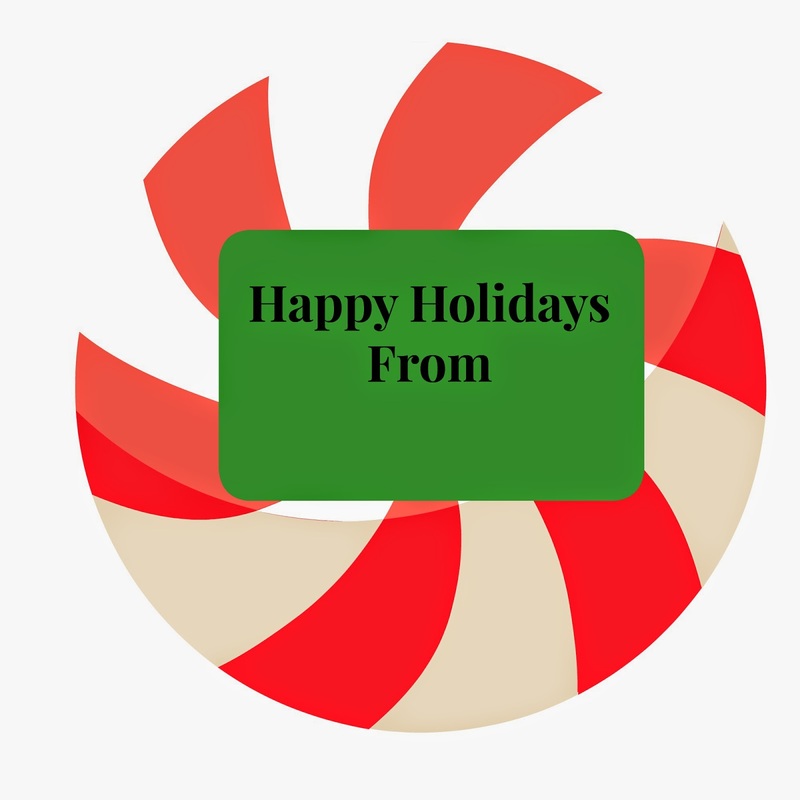 I'm not much of an artist, but here is the label and lid I created on PicMonkey. You are welcome to use it for personal use only. I printed the label as a 5x7 inch label and I really don't know on the lid. I just sort of guessed on the size, and my first try at sizing the photo was close enough. Love, Love Love it!! The ornament is so cute. Could of never thought of the pop can tab.